One of the ways I have learned to feel the contentment I talked about the other day is to count my blessings. No matter how difficult my circumstances have been, I can usually find at least one thing that warms my day. I call them simple pleasures, and if you begin to look for them, you will find that your life is full of them. You only need to develop the habit of noticing. 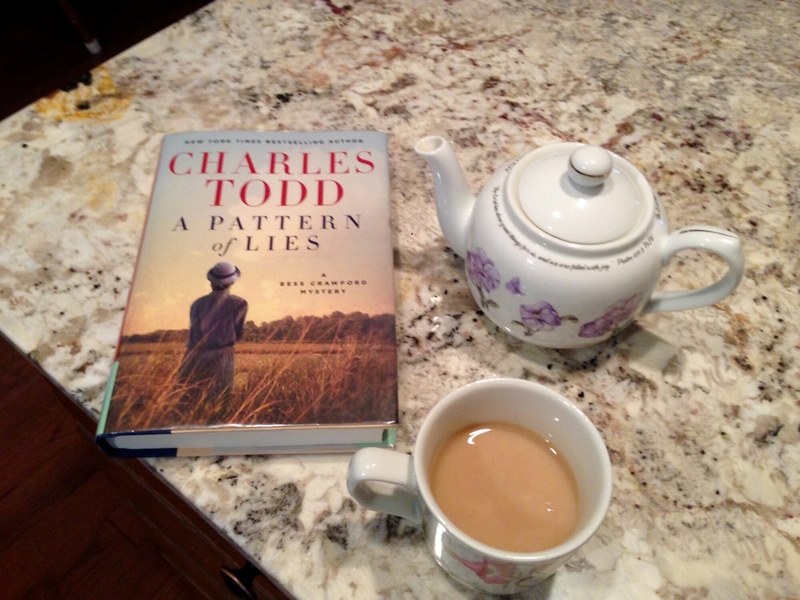 Today’s blessings are a cup of pistachio almond tea, a batch of homemade applesauce, loaves of oatmeal bread rising in the oven, a new Charles Todd mystery to read, and a rainy Saturday afternoon in which to enjoy them. What are your simple pleasures and blessings today? I have been listening to Gateway to Joy with Elisabeth Elliot over the past few weeks over at BBN Radio. When they did a repeat of last week’s episodes, I thought I’d poke around for another place to listen and happened upon a treasure trove of talks by Mrs. Elliot on YouTube. Elisabeth Elliot is one of the women who has most influenced me in my walk with Christ. Ever since I discovered her books in college, I have spent many hours reading her work, praying through her excellent counsel, listening to her talks in person and in recordings, and being continually challenged to give my all for Jesus Christ.